Furianne: Stop & Chat: September 1-8 - Labor Day Weekend Shennanigans & Myeongdong (명동) Trip! Thursday wasn't any thing special. I played World of Warcraft. I know, big surprise. I forgot to mention that this is the first time I've adjusted any of the graphics settings to the game since before we upgraded the computer. Ultra everything, baby! On top of that, I get 70+ FPS! Even in super crowded areas! Whaaaaaaaaat?!? I remember lagging horribly in Dalaran on Dad's beast of a computer back in '08 and '09. Ah, how far we've come. Friday was more of the same. I gamed until the wee hours of the morning. Michael got a surprise extended weekend and went out with some of his friends. At about midnight he texted me, telling me a friend or two would most likely need to crash here for the night. Thus ensued panic mode. You see, I had done no cleaning since Legion came out. I had every intention of cleaning... but that was intended for Saturday while Michael was supposed to be at work. I spent the next hour doing some of the speediest, most efficient cleaning I had ever done in my life. Turns out it was all for naught. Michael was the only one that needed to crash at our house. =P We hung out and watched some anime before going to bed. We're currently watching a pretty gory but thought provoking series called Re:Zero. It deals with the concept of "respawning" with the knowledge of whatever happened before you died, but nobody around you remembers what happened. Think Edge of Tomorrow, but taken to a much darker level. The main character annoys me at times. His obsession with his 'love interest' who as of right now has shown no interest in him romantically annoys me to no end. It borderlines the creepy possessiveness that earns people restraining orders and jail time. Saturday was a day spent with Michael until evening rolled around, when we went to C's house with a bunch of other people and partook in some weekend partying shenanigans with two other couples, a "geographic bachelor" (his wife and kids are back in the States. He doesn't act on being a "bachelor", I promise! ), and two other guys. This is the first time I've been at a get together that involved drinking and let loose, for lack of better words. I'm normally extremely reserved when I drink outside of my home, and have personal limits I set for myself and how much control I want to maintain. It's a testament to how comfortable I was that I drank as much as I did. My point is, I had fun, and I actually participated in the conversations, drinking games, and (of course) video games. What was even better, Michael had tons of fun too and he meshed together really well with all parties involved! I knew I would get along with the participants fine, but Michael hadn't ever met these people until this day and I was concerned about how well they would get along. It's not always fun having friends you get along with and hang out with often but knowing your husbands don't get along, ya know? I do have to thank drunk me for maintaining my personal value of "one hand - booze, one hand - water." Actually, the water stayed in my hand all night while my drink stayed in the kitchen. Another testament to my comfort - I was never concerned about the safety of my drink. You know exactly what I mean. Back on topic, me drinking so much water prevented my Sunday from being any worse than it was. We did spend the night at C's house, and my morning started off okay. Once C started cooking eggs, my stomach went from "feed me" to "evacuate all contents" and I spent the rest of the morning switching between the bedroom and restroom. I hesitate to include this as I'm typing it up, but I think I'm going to go ahead and include it. Michael and I are still very young and have plenty of party left in us before we settle down. I'm okay if others aren't interested in that lifestyle, but it's where I'm at and as this is a personal blog, it's gonna be included dangit! Michael drove us home as he hadn't had nearly as much to drink as me and felt a lot better than I did. We got home around 1PM and I slept with the intention of seeing if I was able to recuperate enough to go out that night. Those of us at the party had plans to visit an abandoned asylum. Why? I have no clue, but I've never done it before so I wanted to go. I got a phone call from C at about 5:30 and she told me that most of the parties involved had a much ruder day than I did and were unable to go out. I decided to celebrate by sleeping some more. LOL. Basically my Sunday was a wash and it was 100% worth it. 10/10 would do again. Monday rolled around and we put our adulting pants on so we could get some work done. First off - pay rent and utilities! Once that silly stuff was out of the way, we went to Yongsan and partook in some retail therapy. Don't mind the mess in the viewfinder. It's all part of the charm that is my life. But Liz, you already bought a camera last year! Why yes, yes I did. However, it has very slow auto focus, the shutter speed is horrendously slow, and the video capabilities are... well, lacking. It's a pain to change the focus while recording video, and the focus function is loud. The loudness is more the lens' fault, but everything else is the camera. We knew this when we bought the camera, so it's not like we were surprised. We just didn't think it'd become an issue so soon. There are several photo opportunities I have missed out on because of that camera's poor action photography. We have to bring a separate camcorder on our excursions if we want to take videos of this or that adventure we go on. Frankly, we always forget the camcorder. Or we bring it (like we did to Daegu) and never take it out and about because it's too much hassle. We have plans for travel to other countries in the works and we know we absolutely want to take pictures and videos. As part of our preparations we started looking at either buying a nicer lens for our camera or buying a nicer camera and sticking with its kit lens until we could upgrade. Since 90% of our issues with the camera were based off of the camera's capabilities and not the lens, we decided to upgrade our camera. We had other places we planned to go, so charging up our brand new spiffy camera and testing it out would have to wait! Instead we had the old camera (which is still a great camera, we just wanted more) with us for our excursion to Myeongdong! What was our purpose in Myeongdong? Shopping for Pokémon themed body care items that are B1G1, of course! Off to Tony Moly we went! There were two stores in Myeongdong that we checked out. They were sneaky and put all of their body care together in sets and sold the sets as Buy One, Get One. What's that mean? I bought all of the sets, of course. I have no self control. I love the packaging for so many of these Korean beauty brands. I say I don't care about appearances, but these cute apples almost had me buy them just because I thought they looked cute. These are the hand creams that I really came out for. Unfortunately, some of the versions I was looking for weren't all there so we will ransack the stores again on the 19th. Nothing is safe, I tell you! How can you not love this little panda sleeping cream?! Since traffic was slow, as it always is, Michael suggested I take a picture of this building. It's one of the several tourist attractions in Seoul and we need to go sometime. Michael wasn't gone very long for his get together. It was just a quick dinner with a friend for his birthday. While they were out they established a 'date' for Tuesday for 11 people to come over to our house and play some Pathfinder (basically it's Dungeons and Dragons). There was some miscommunication between Michael and I, however, and I was led to believe that the Tuesday get together at our house was going to be a small group of 4-5 people, two of which being C and her hubby. Tuesday morning I got up early and started cleaning the house. I'd like to say that I didn't care about C and her hubby's impressions of the house, but it would be the first time they'd spend an extended amount of time in the house instead of a quick stop by to drop of groceries or their dogs for us to babysit. So, I detail cleaned. Guest bathroom? Scrubbed. Floors? Swept and mopped. Dishes? All cleaned and immaculately put away. Couches, fans, any possible surface of the house that could be looked at? Wiped down, vacuumed, or otherwise cleaned in some way so they sparkled. Clothes? Washed, dried, and then shoved into baskets into a corner of the laundry room that nobody would see. What, you didn't think I'd actually fold them, did you? Hamster cages? Cleaned top to bottom. I actually had lots of fun with that because the hamsters didn't hide away in any hidey holes while I wiped out each section of their homes. Instead they got in my way and curiously sniffed at whatever I was messing with. Even when I started putting in their fresh bedding they stayed in the area I was working in. Normally adding the bedding makes them scurry off. It was adorable and I wish I had taken pictures. At around 9:30, Michael and I left to quickly check out a Tony Moly store that's about a 5 minute drive from the house. They didn't have any of the hand creams I was looking for, either, and confirmed the 19th as their restock date. I guess that means I have to go shopping again later this month. We got back to the house and I continued cleaning while Michael got started on the lasagna he was making. People started arriving at 12:30, and that's when I found out that this get together was much larger than I was led to believe and became 350% happier that I had just spent 6 hours cleaning the house. The get together itself was great! There were several of us who had never played D&D or Pathfinders before, so it was a long and arduous process just to get our characters created and everything started. Once it got going, however, there were lots of laughs to be had. We surprised our Dungeon Master with the choices we made, and he realized that he can't ever count on us to take 'logical' routes with our characters' actions. Also, never give us a crying old lady as an NPC because the Chaotic Evil character will choose to sit, stare at, and laugh at her instead of asking her what's wrong (ie. initiating the quest). Yesterday and today have been very relaxed days. Michael went back to work and I played video games. The temperature has risen again, with the high being 85 outside. That's not so bad, and the house would be bearable if we could open the windows, but the air quality outside has taken a major dump. Yesterday the index was 152/red/unhealthy, which explained why I had an issue with my eyes feeling almost swollen and itchy while I was cleaning near the open windows. The air quality was so bad that I noticed our two plants that were close to an open window over the weekend had died. These friends have already come over a 2nd time so I'm slowly perfecting my methods. It helps that Michael is willing to help when friends are about to come over. Double the cleaning, woohoo!! Thank you on the camera! I kept telling myself we didn't NEED the camera... as Michael swiped for it... as I unpacked it and charged the battery... every time I turn it on and use it... but somehow I still haven't taken it back. LOL! We don't need it, per se, but we definitely love having it. WHOOHOOO!!! Congrats on the new camera! How exciting! I took a class on how to use my camera in manual and it was the best thing I ever did. Maybe you can find some youtube videos or something. You are the bestest. Loving those pokemon beauty items. The bunny perfumes and panda goodies had me awwwwing too. Enjoy your youth and partying. I no longer do all that but it was a fun part of my life at one point and it was there for a reason. :-)Party on Liz! I totally agree on manual classes! I'm trying to adjust everything I learned to this camera and it's taking me a bit. I keep doing things that would work for the old camera, but mess up the new one or the function just doesn't exist. My new camera that I picked out for Mother's Day is just sitting in the desk drawer gathering dust. I gave up on it. It's probably a fabulous camera but I don't have the patience to go through the 800 page online manual or search around for quicker tutorials. Julie mentioned something about an online class for hers. That's craziness I'm not okay with. *sigh* Now I'm stuck with a camera I'll probably never use. It's definitely a bit of work to get used to using a new camera. 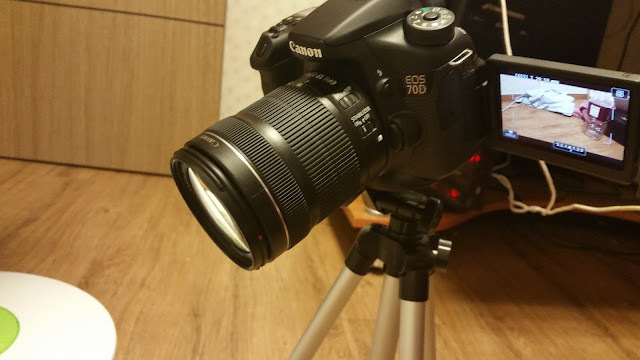 I've spent so many hours researching DSLRs in general, then once I knew what specific camera I was going to buy that was another dozen hours or so of watching videos and reading tutorials. I feel like I'm always on the internet so I don't realize how much time I've sunk into something until someone mentions it. You could just fidget around with the camera and only google specific questions you have about it instead of finding a broad tutorial on how to use it. I don't know how different it is from your old camera so I don't want to assume how easy or not easy it is to switch to the newer one.